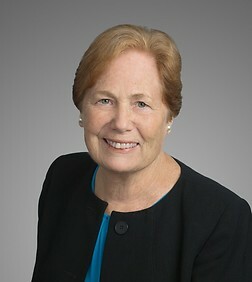 Joan H. Story is Of Counsel in the Real Estate, Land Use and Environmental Practice Group in Sheppard Mullin’s San Francisco office and formerly a member of the firm's Executive Committee. Ms. Story’s practice emphasizes real estate investment, financing and leasing transactions. Her clients include developers, institutional and foreign investors, corporate real estate users, pension funds and pension fund advisors and lenders. Her experience encompasses land acquisition and development, construction, permanent and tax-exempt financings, joint venture and limited liability entity formation, acquisition and disposition of commercial properties, leasing and other portfolio management issues, as well as loan and partnership workouts. She has developed a particular expertise in the hospitality and senior housing areas and in the structuring of Islamic investment in US real estate. Ms. Story's clients include DHL Express, for whom she has handled leasing, facilities development and related financing matters throughout the United States; the San Francisco Transbay Transit Center in connection with facilities management and leasing of retail, restaurant and entertainment spaces at the Center; MacArthur Transit Community Partners, the developer of a 624 residential unit transit-oriented village on land leased and purchased from BART; and Chevalier International Holdings, Ltd. in connection with its investment in senior assisted living facilities and medical office buildings throughout the United States. Represented Chevalier International Holdings, Ltd., a publicly traded Hong Kong company, in connection with its acquisition of assisted living, memory care, skilled nursing and independent living facilities in Oregon, North Carolina and Michigan, and medical office buildings in New York, Pennsylvania and Rhode Island, negotiation of third party operating leases, financing of the facilities, re-financings under a HUD-insured loan program and related property management matters. Represented MacArthur Transit Community Partners, an affiliate of BRIDGE Housing Corporation, in developing the MacArthur BART Transit Village. The 624 residential unit project included the construction of a BART Garage on land to be acquired for BART; a 90-unit, below-market rental phase to be constructed on land ground-leased from BART; and three market-rate phases with market-rate and below-market condominiums, 4,500 sq. ft. of retail and commercial space, 5,000 sq. ft. of community space, and related off-site improvements. Funding for the project derived from a combination of Proposition 1C grants, a federal transportation grant, tax-increment financing and private debt capital. Counsel to the Transbay Joint Powers Authority in connection with the negotiation of the master asset management agreement for, and individual tenant leases for all retail, restaurant and entertainment spaces in, the new Salesforce Transbay Transit Center. Represented DHL Express in the ground lease, construction, tax-exempt financing and several expansions of its main hub facility at the Cincinnati/Northern Kentucky International Airport. Represented DHL Express in connection with a major expansion of a primary hub at Wilmington, OH, the financing of the expansion through private activity bonds issued by the Dayton Montgomery County Port Authority and the subsequent divestiture of the hub facility. Represented DHL Express in ground-leasing, constructing and financing a number of regional distribution and sortation facilities, including the development, installation and financing either through private activity bonds or leveraged leases of state-of-the-art sort systems. Represented Lend Lease Corporation in connection with the development of the Watermark luxury high-rise condominium project and the negotiation of a development and disposition agreement and related ground lease for the development of a proposed mixed-use cruise ship terminal facility to be located on Piers 30-32 in San Francisco. Represented investment groups acquiring and selling commercial real estate assets and portfolios, including ownership interests in the Santa Barbara Biltmore Hotel, the Parker House in Boston and the Parc 55 Hotel in San Francisco. Represented major international spirits companies in connection with the acquisition, sale and lease of vineyard properties and wineries in the Napa and Sonoma Valleys and elsewhere in California, including the sale and leaseback under a long-term lease of 18 vineyard and winery properties in the Napa Valley. Recently concluded the representation of Diageo plc in the sale of its U.S. and British wine units to Australia’s Treasury Wine Estates for $552 million. Ms. Story has lectured for California Continuing Education of the Bar, Practising Law Institute, CLE International and other groups on subjects of concern to real estate practitioners, including structuring of joint ventures and mixed debt/equity investments; public-private partnerships; hazardous materials issues in real property transactions; real estate construction lending; negotiation of commercial leases, purchase and sale transactions; representing borrowers in loan transactions; and the art of negotiation. Ms. Story served as speaker at San Francisco Structures, an annual event that focuses on development issues, economic challenges, the real estate and construction climate and projects that are reshaping San Francisco, in 2008 through 2015.